Easy to spot, the California Garibaldi is a fairly large bright orange coloured fish. The scientific name of the fish is Hypsypopsrubicundus, it belongs to the damsel fish family. Locals named this vibrantly coloured fish after an Italian politician Giuseppe Garibaldi because his followers usually wore a red shirt. This is one of the largest fish in the damsel family, growing up to 15 inches in its natural habitat. What Does The California Garibaldi Fish Look Like? Is their Much difference between the Male & Female? How Long Do They Typically Live For? What Things Do They Eat? What Is The Best Size Tank For Them? What Is The Best Tank Setup? What Are The Best Tankmates For The California Garibaldi Fish? Do You Need A Permit To Keep Them In California? Where Is Their Native Location? Why Hasn't Anyone Successfully Bred Them In Captivity? Why Are They So Important To Californians? Did The Garibaldi Appear In The Dr. Suess Book? In aquariums the fish usually grows to about 12 inches.So far, the Garibaldi has not been bred in captivity. In 1995, the state government of California named this striking fish its state marine fish. While you need a permit, this fish can be kept in an aquarium. They can be a bit expensive, on average you might find one for about $150. The beautiful Garibaldi makes a great addition to aquariums because of its striking colour and size. It has an oval shape and a sloping head with yellow eyes and a small mouth. Its tail fin is quite forked, its dorsal and ventral lobes are rounded. The dorsal fin can have between 11 to 15 spines and between 12 and 15 rays. The dorsal fin stretches from above the pectoral fin. A juvenile Garibaldi is a reddish orange and has several blue spots on its body and its fins have a blue outline. It also has a large blue spot with a black outline on its upper mid back region. As the fish reaches maturity it becomes completely orange. There is not much difference between the male and female of this breed. The male tends to be bigger and has a lobe on its head. The California Garibaldi’s bright colour is different from other fish in the region. This is thought to be to alert other fish of its territorial nature. The California Garibaldi is quite territorial, it has been known to make a loud thumping sound that can even be heard by divers. They will make it a point to chase off any potential predator or even attempt to scare off divers that get too close. The female Garibaldi lays eggs in a nest that is sheltered within rocks in the reef and the male watches over them. Which is why this aggressive behaviour is more pronounced if the Garibaldi is protecting its eggs. The male will often mate with several females who might proceed to destroy eggs that were laid by rivals. In this event the male might bite the female and chase it away. Both male and female Garibaldis are solitary and will protect its area quite aggressively. However, the female is usually a lot less aggressive and territorial than the male. In their native environment, these fish have their territories defined quite clearly. You might be able to see several swimming but they will be at a distance of a few feet from each other. If the male feels threatened because a diver gets too close, it will try to chase them away. Considering the size of the fish and the size of the diver, it is quite bold and will swim up to divers as a warning. However, if the diver still gets too close, the Garibaldi might be forced to take more serious steps. The fish will usually grab any equipment, like a camera, then hold and shake it vigorously in an attempt to scare away the intruder. If this does not work it has been known to bite humans too. However, this aggressive behaviour is displayed by adult males and it is only if it considers its territory or its eggs in any danger. It is not recommended for beginners. The vividly coloured Garibaldi is bound to be a fish many would want in their aquarium; however, it is not the easiest fish to keep. The Garibaldi is a fairly hardy fish mainly because of its territorial nature. Really you need to be an intermediate level fish keeper at a minimum, they also require large tanks. While it is possible to keep the Garibaldi with other fish in an aquarium it is a good idea to read more on different varieties. The Garibaldi does not get sick easily and does not require any special care. The aquarium itself needs to have a few rocks and they are not too fussy about food. These characteristics would make it seem like an easy fish for beginners, however, as discussed, other factors, such as their aggression, will add challenges beyond a beginners skill level. While a California Garibaldi can live between 15 and 18 years in the wild, the lifespan of a captive fish is usually less. In the wild the Garibaldi is usually safe from natural predators as it lives in areas with reefs and vegetation. However, they are a protected species in California as there are concerns that commercial collection for aquariums has reduced their population substantially. Garibaldis are hardy and do not get sick often, however, they can get illnesses common to saltwater aquariums. Just as with humans, the Garibaldi is more likely to get sick if it is stressed because of its tank or the other fish in the aquarium. As these fish are typically active, it is a good idea to have a large tank with reefs and corals. If you have a juvenile Garibaldi you should also have rocks arranged in such a way that they provide several places for your fish to hide. The main diet of a Garibaldi in the wild consists of invertebrates that are usually taken from rocks. Depending on whom you ask, the Garibaldi is either an omnivore or a carnivore. The fish typically eats invertebrates like nudibranchs, bryozoans and tubeworms. However, it also eats shellfish, crabs and shrimp. Apart from this the Garibaldi will consume sponges, algae and small anemones that are commonly found on rocks. Some experts believe that their vivid colour is caused by the sponge in their diet. In an aquarium a Garibaldi can be fed a variety of things, however, experts recommend that their diet remain similar to what it was in the wild. They should be fed twice a day with meat and herbivore food. This pattern of feeding could also reduce the risk of tank aggression. Pellets can be given to them sometimes as can live food like mysis shrimp and brine shrimp. When you give them pellets it is a good idea to ensure the pellets are wet to avoid air getting into their digestive tract. As stated earlier, owing to its large size and territorial nature a Garibaldi requires a fairly large tank. If you keep a single fish the ideal tank size would be 100 gallons. The large tank is also to prevent the fish from bumping against the glass as it is an active swimmer. If you would like to keep more fish, a larger tank would be necessary. 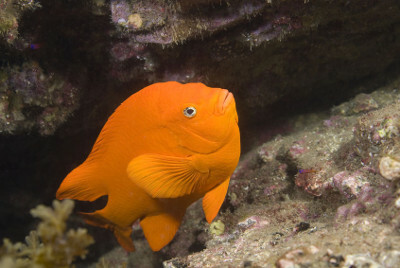 The California Garibaldi is a marine fish and has to be kept in a saltwater tank that has enough space for it to swim. The natural habitat of this fish is in reefs and rocky areas near the bottom of the sea. For this reason, the tank should also have plenty of reed and rocks. The Garibaldi can be kept in a reef tank but it could destroy the decorative shrimp and small coral. Juveniles will require more reefs for hiding places but even adults will need a fair amount of rocks and corals. A comfortable and stress-free environment is essential to the well-being of the fish as it is more likely to get sick if it is stressed. The California Garibaldi usually lives in kelp forests and rock reefs near the shoreline. Typically found in waters that are 14 meters deep, these fish have been known to dwell as low as 30 meters. As these fish are most active during the day the tank should be kept in normal lighting. It should not be too dark. Temperatures between 68 to 79 degrees Fahrenheit are ideal for this orange fish with a good filtration system that will keep the water moving. The pH level should be between 8 and 8.4 and the specific gravity should be maintained between 1.023 and 1.025 SG. Keeping the water clean is essential to the health of your fish. If you have a 100-gallon tank with just fish you can change either 10% of the water twice a month or 20% every month. If your Garibaldi lives in a reef tank that has a capacity of more than a hundred gallons you can change the water less frequently. As the water becomes stable and aged you can change about 20 to 30% of the water in the reef tank once in 6 weeks. In the wild adult male Garibaldi have clearly marked territories and any interlopers are chased away quite aggressively. Females do tend to be less aggressive, however, they too prefer to be solitary. Avoid keeping Garibaldis with smaller fish even if it is still juvenile. It will be aggressive toward smaller fish even when it is young and this will only increase as it grows. Similarly, non-aggressive fish should not be kept in the same aquarium either. The best way to avoid too many confrontations between the different fish in your aquarium is to provide them with plenty of space. Decorating your tank with live rocks, corals etc will be helpful as these provide natural caves for the fish to hide. Each fish will typically decide their territory and aggression can be avoided if other fish don’t intrude. Another way is to maintain feeding timings. Feeding a Garibaldi twice a day can help reduce tank aggression. As the California Garibaldi has become more popular as an aquarium pet, its is being caught more for commercial use. Concerned that the overfishing of these vibrant fish would endanger them, the government of California has made them a protected fish. In 1995 the fish was designated California’s marine fish, and it is illegal to take the Garibaldi either for commercial purposes or sport. If you are in California you cannot keep one of these gorgeous creatures without a permit. You should be careful where you purchase your Garibaldi from as it could be illegal. As there are many restrictions for taking these fish they tend to be quite expensive. Most of them are sold from Mexico where they are also found in abundance. As there has been no success in breeding them in a captive environment, the only way to get one of these fish from its natural habitat. It is important that you find a reputable and good dealer if you plan to buy the California Garibaldi. This fish is native to the waters of Pacific Ocean. They are most commonly found from Baja to the northern parts of California and Rocas Alijos to Guadeloupe in southwestern California as well as Mexico and Channel Islands. In its natural habitat the Garibaldi most commonly lives near the shoreline in water that is 15 meters deep. However, they can also be found at greater depths of up to 30 meters. As discussed, till now, there is no news of successful breeding of the California Garibaldis in a fish tank or aquarium. Many people have tried to breed these fishes in a water tank or aquarium. Researchers haven’t found any reason behind the breeding inability of California Garibaldis in captivity. A male fish becomes sexually mature at the age of 5-6. Before reaching this age, it finds a safe, natural nest to build a life-long home. After choosing the home, it attracts females. After making the nest safe from all types of garbage and threats, they start the reproduction process. Even with this knowledge, there has not been any know success. Yes, California Garibaldis lay eggs. A female can lay 15,000 to 80,000 eggs in a season. The color of the eggs is bright yellow. When a male Garibaldi becomes sexually mature, he finds a fine home and attracts females. A female Garibaldi visits up to 15-16 nests to choose a place to deposit the eggs. After choosing the male and his nest, the female proceeds to the next step. The process of laying eggs of California Garibaldis is a bit different. When the female lays eggs, the male fish tries to keep the place safe by driving away the intruders. After laying eggs, he drives the female away so that she doesn’t eat the eggs. Then he attracts another female to lay eggs at his place. The female goes out and finds another place to lay some more eggs. Usually, a female lays eggs beside fresh eggs deposited by another female. This happens several times throughout the reproduction season. Sometimes, the male California Garibaldi eats some of the eggs to clean up and attract more females to its territory. During the reproduction season, the male remains more aggressive than usual. This aggressiveness is necessary for the safety of the eggs. In the coastal waterbodies of California, you’ll find these fishes a lot. In 1995, California declared the Garibaldis to be the official State-Marine-Fish of California. Since then, these fishes started to represent California. Hence the reason they are so important to them. Yes, the famous Garibaldi fish appeared in the Dr. Suess Book. Dr. Seuss is known for including various creatures in his books. 'The Cat-in-the Hat’ book features the fish and is one of the well known child books. It is believed that the Garabaldi fish was chosen for its aggressive defence tactics. California Garibaldi are excellent for people with intermediate experience with saltwater fish. Their aggressiveness and territorial nature can make them difficult to keep if you are a beginner. While it is natural to want one of these beautiful fish to brighten up your tank, you should keep in mind that they are protected. Do ensure that you only purchase one from a reliable seller and get a permit as these are necessary if you are in California. 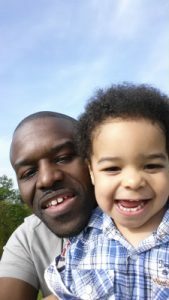 Do share this article and feel free to comment with any questions or ideas you might have.